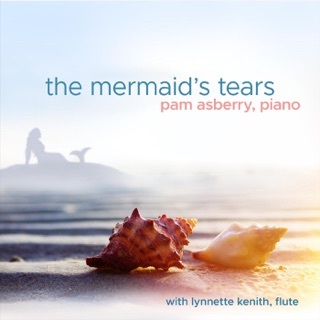 Classically-trained pianist and composer Pam Asberry follows-up her summery Seashells in My Pocket album with a wintry Christmas album entitled Thankful Heart, Joyful Mind. Comprised of twelve solo piano compositions, the album features exquisitely elegant arrangements of both religious carols and secular holiday songs of varying moods and tones that range from delightfully cheery to solemnly reverent. The album opens with an Italian Christmas carol composed by Pietro Yon in 1917 entitled “Gesu Bambino”, as it moves along at a brisk yet leisurely pace. The next piece is a traditional French carol entitled “Sing We Now of Christmas”, which boasts a beautifully expressive yet contemplative arrangement. Here, Asberry transitions smoothly from subtly starker chords in the lower register to more glistening notes in the higher register, before perfectly wrapping up the piece in a mysterious, minor-key figure. Likewise, Asberry impressively contrasts the deeper moods of pieces like these with that of more jubilant songs such as “Over the River and Through the Wood”, which showcases a delightfully carefree melody set to a gentle waltzing pace. This lovely piece evokes images of a sunny winter wonderland with its intermittently-placed, lightly twirling notes deftly mimicking snowflakes falling to the ground. One of my favorite pieces on the album is Asberry’s magnificent rendering of the 13th century French carol “March of the Kings”. Opening in a formidable manner with boldly striking chords, the composition eventually moves into a feathery, twinkly bridge towards the latter part, before gradually receding into its initially darker motif. Not surprisingly, with Asberry having formerly led a church choir from organ, those roots come through quite evidently on this remarkable piece, as one can easily imagine the reverent sound of the pipe organ (or in this case, her piano) reverberating throughout the church halls. Likewise, Pam Asberry renders a couple of more accessibly familiar Christmas tunes such as “Away in a Manger” and “White Christmas”. However, overall she’s opted for more out-of-the-box and less frequently covered pieces here, which is a defining characteristic of the album that I especially enjoyed. Easily one of this year’s favorite holiday albums, Thankful Heart, Joyful Mind musically conveys both a reverence and cheerfulness that will surely delight the senses all season long! 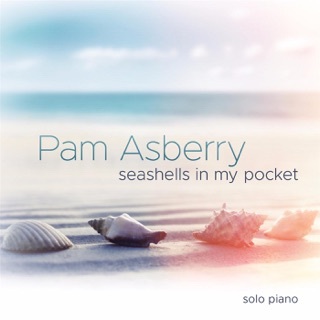 "Thankful Heart, Joyful Mind" is the second solo piano release from pianist/ composer/ arranger/ teacher Pam Asberry, winner of the 2018 Enlightened Piano Radio “Best New Artist” award. This album is a collection of twelve Christmas carols and songs (sacred and secular) that span nine centuries and eight countries, arranged as gentle, soothing piano solos sure to calm the jangled nerves that so often come with the holiday season. The album maintains a relaxed, thoughtful mood from start to finish, making it a perfect accompaniment to a holiday dinner, an evening with friends, wrapping gifts and much more. You might even be able to get St. Nick to spend a little extra time at your place if you have this music playing on Christmas Eve! While most of the carols are familiar, they are not the songs that get played over and over all season (to the point of “if I hear that one more time….”). The album was recorded at Piano Haven Studios in Sedona on Joe Bongiorno’s incredible Shigeru Kawai concert grand piano, so the piano sound is perfection. "Thankful Heart, Joyful Mind" begins with a lovely arrangement of “Gesu Bambino,” an Italian carol composed in 1917. Keeping it simple and uncluttered, it feels like a gentle lullaby. “Sing We Now of Christmas” goes back to 15th century France and has become one of my favorite carols. Dark and haunting, I love the emotional quality of this piece, and Pam expresses those emotions very effectively. “Wexford Carol” comes from 17th century Ireland and isn’t a carol you hear often, although it should be. Pam’s arrangement is graceful and heartfelt. “White Christmas” is one of the most popular 20th century carols and has been recorded by a wide variety of artists in a wide variety of styles and genres. Pam keeps it simple, focusing on the beauty of the wistful, dreamy melody - one of the best arrangements of this song that I’ve heard. “Over the River and Through the Wood” was one of my favorite songs in grade school, and I don’t think I’d ever heard it as a piano solo before this season! Pam’s arrangement is much softer and sweeter than a classroom full of kids singing it, but it takes me right back. It never ceases to amaze me how easily “Carol of the Bells” adapts to so many different treatments, and this arrangement is one of the most relaxed versions I’ve heard. Paired with “I Heard the Bells On Christmas Day,” it’s a favorite. “March of the Kings” is by far the most dramatic piece on the album, and is also my favorite track. Dating back to 13th century France, the melody is dark and poignant and Pam’s performance is gorgeous. I have to admit that I had never heard “Come, Let Us Anew,” a carol from 19th century England, and this closing piece is celebratory, reverent and very beautiful. So, if you are looking for a solo piano Christmas album that will enhance the quieter side of the holiday season, be sure to look for "Thankful Heart, Joyful Mind"!